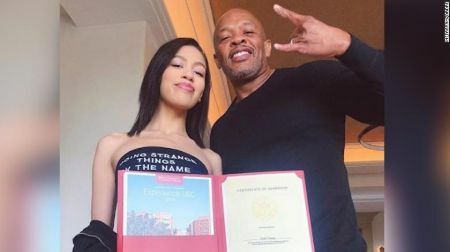 Dr. Dre celebrates his daughter's USC acceptance and subsequently deletes the post! 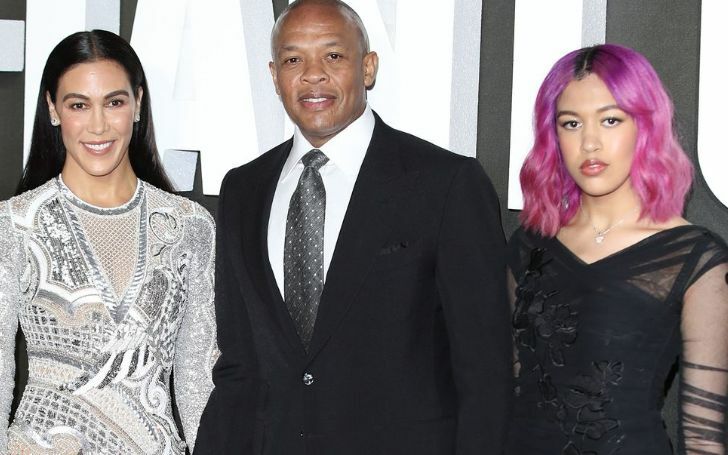 American rapper Andre Romelle Young, better known as Dr. Dre became a subject of rumor as he proudly announced through Instagram on Sunday that his daughter got accepted into the University of South California (USC) and later deleted the post. The "Still D.R.E." singer posted a photo with his daughter, Truly Young, holding her acceptance letter to the USC. His caption read: "My daughter got accepted into USC all on her own. . . . No jail time!!!!" However, the post was nowhere to be seen by the evening. Dr. Dre and his daughter Truly Young, with the USC acceptance letter in her hand. He had initially posted the photo and the accompanying caption to be on the safe side amidst the widespread scandal of rich families getting into privileged academic institutions. CNN said he publicly revealed his daughter's success to "throw shade at other rich families caught up in a national admissions scandal." On the surface, he seemed to be making fun of other prosperous parents cheating to get their children to better universities. At the same time, it can also be read as a self-defense mechanism. The phrase "No jail time!!!" more than sufficient proof that he was referring to the scandal. He probably wanted the media to acknowledge his transparency and wanted to prove his daughter a deserving and legitimate candidate for the USC. But more than that why he deleted the post is a more important question. As a matter of fact, within minutes he started receiving comments from critics who hinted that there must have been some link between the rapper's daughter's acceptance and Dre and Jimmy Iovine's $70 million donations to the school. As a result, it became a lot easier for critics to criticize his move. In a press release at the time of the donation in 2013, the duo revealed that they gave out the hefty amount to establish Jimmy Iovine and Andre Young Academy for Arts, Technology and the Business of Innovation.